M.Ch - Cardio Thoracic and Vascular Surgery, MS - General Surgery, M.B.B.S. Dr. T. S. Mahant, MBBS, MS(General Surgery), M.Ch(Cardiovascular & Thoracic Surgery), is the Director of Cardiovascular & Thoracic Surgery Department at Fortis Hospital, Mohali. Prior to that, he was a chief cardiac surgeon at one of the premier hospitals of the continent, Batra Hospital, New Delhi. Having rich experience of 34 years, he has worked in number of prestigious institutes in the country and overseas viz., a Senior Registrar- Cardiothoracic Surgery at Dunedin Hospital, New Zealand; Visiting Fellow Cardiothoracic Surgery at Green Law Hospital, Aukland, New Zealand; Senior Fellow Cardiothoracic Surgery at St. Vincent’s Hospital, Sydney; Sr. Fellow Cardiothoracic Surgery at Royal Children’s Hospital, Melbourne & the Royal North Shore Hospital. 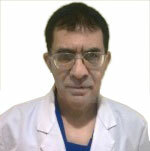 After completing his basic medical studies (MBBS), he went on to do his post graduation(MS) in General Surgery from the prestigious Post graduate Institute of Medical Education & Research, Chandigarh, followed by super specialization (M.Ch) in Cardiovascular & Thoracic surgery from the same institute. Dr. Mahant has performed more than 20,000 surgeries of newborns to 90 years old, simple to complex, congenital diseases, as well as various thoracic & vascular surgeries. He is an expert in redo- surgeries, Paediatric Surgeries, Valve replacement & other complicated bypass surgeries like surgeries for heart failure. Valve replacement Surgeries for infants & children with complex heart diseases. Dr. Mahant is a keen academician & has numerous publications in various reputed national and international journals. He is a member of various professional associations and participated as a guest speaker at many conferences . On top of it, he has been awarded by various awards for his distinguish work in the field of cardiac sciences.